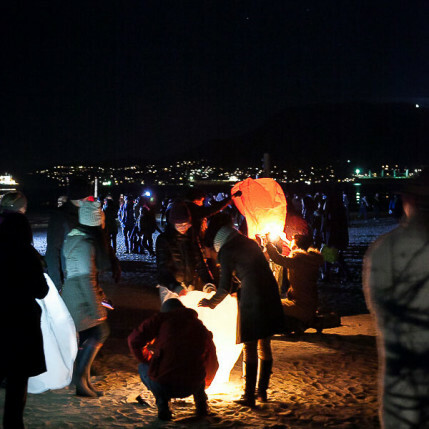 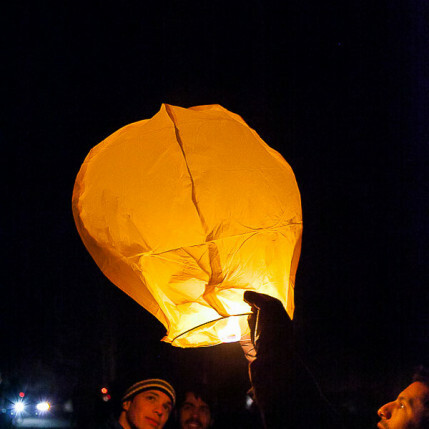 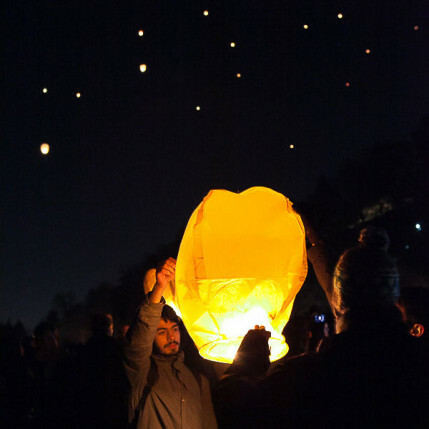 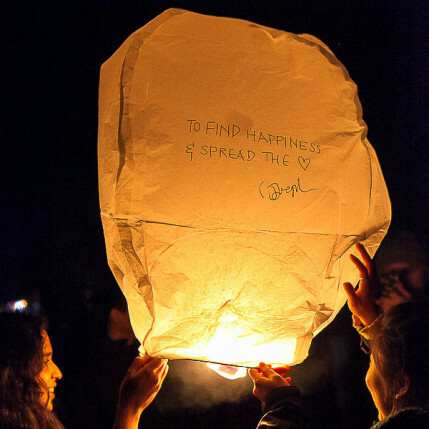 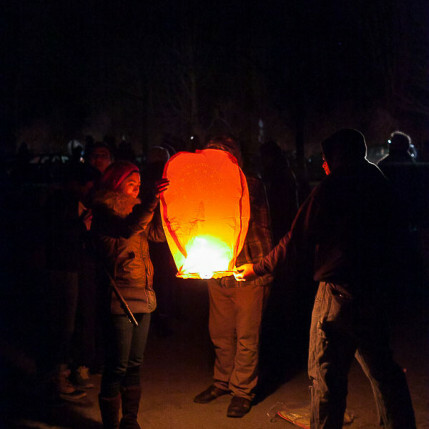 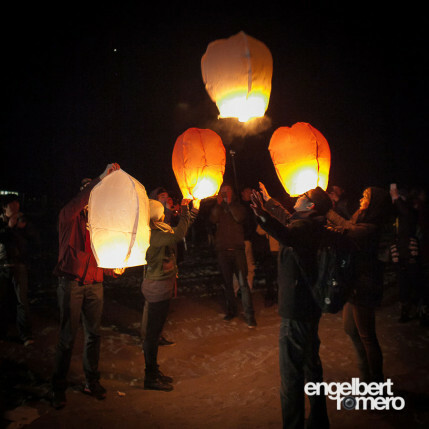 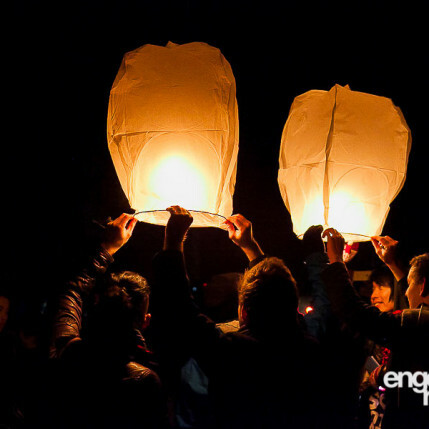 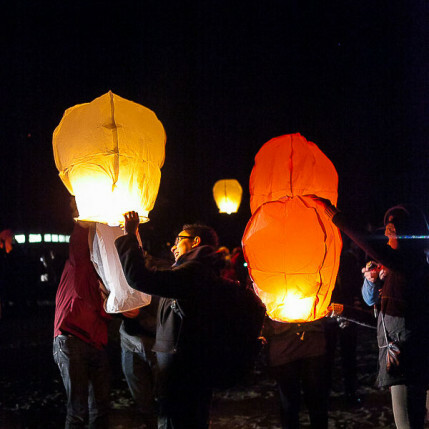 A Chinese New Year Sky Lantern Festival was held in Spanish Banks, Vancouver, on the night of February 7, 2014. 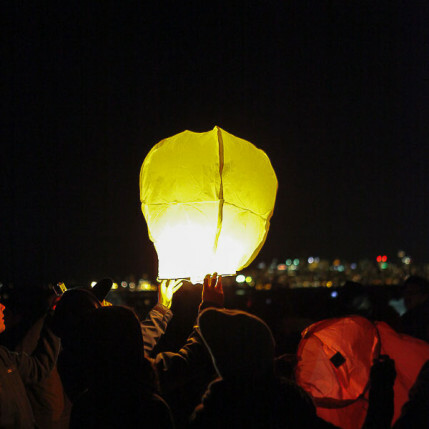 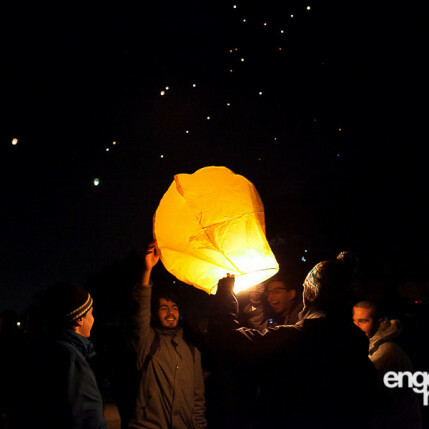 Thousands got together on a very cold night to light lanterns and launch them into the sky. 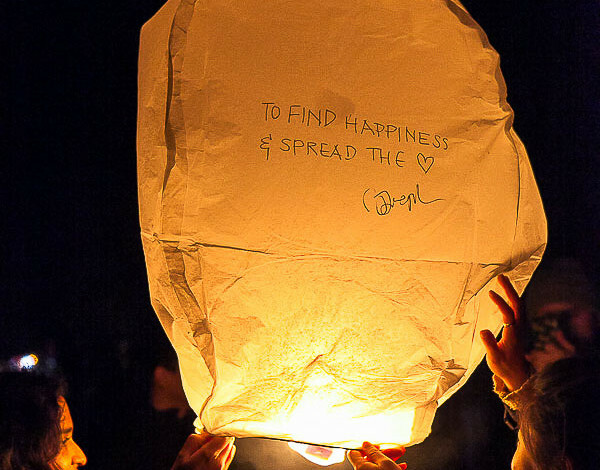 Some have wishes written on them, some others have heart shapes symbolizing love and harmony. 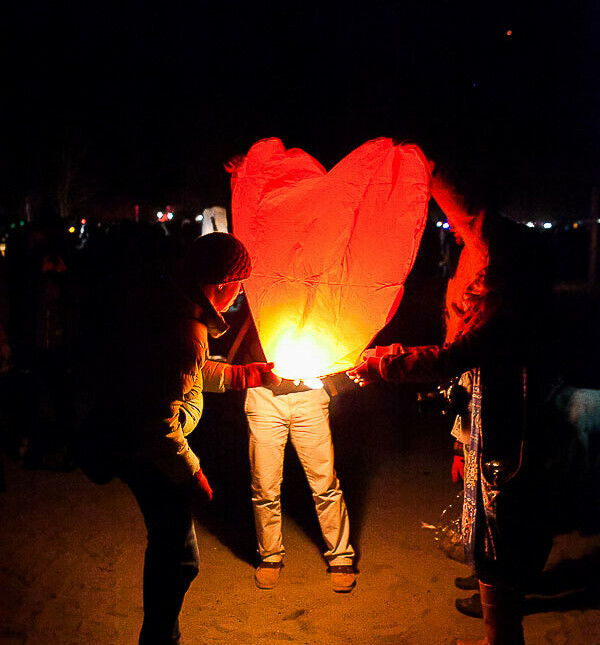 It was a very organic and magical event. 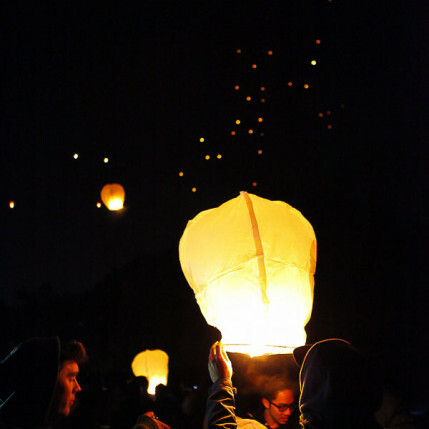 People came in groups, and helped by the lights of their smartphones and cameras, lit their lanterns and patiently witnessed how they magically flew away defying gravity. 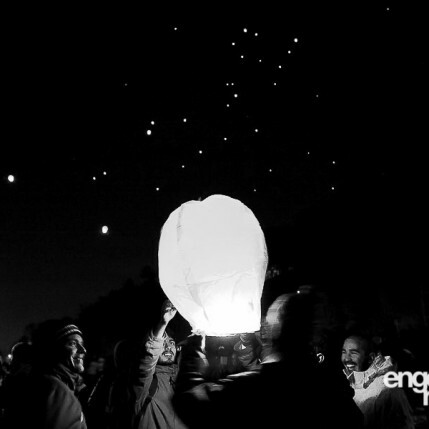 As a photographer, I was very much drawn to this event. 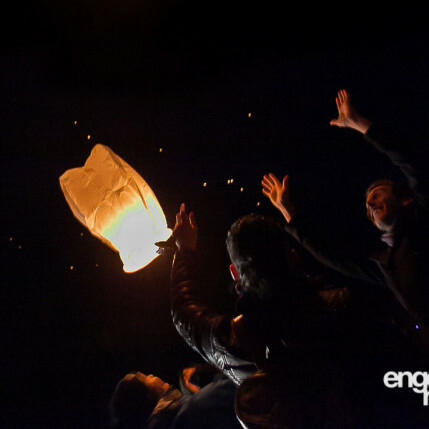 Initially, because of the challenge of capturing images in a very low-light context; and secondly, and most importantly, I was totally mesmerized by the expression of people when releasing the lanterns. 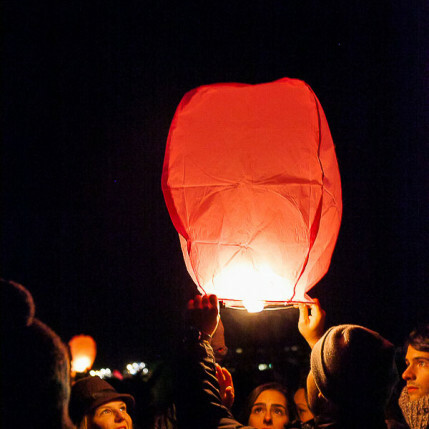 Some people seemed to be very invested in the process, showing thoughtful and deep, almost religious expressions. 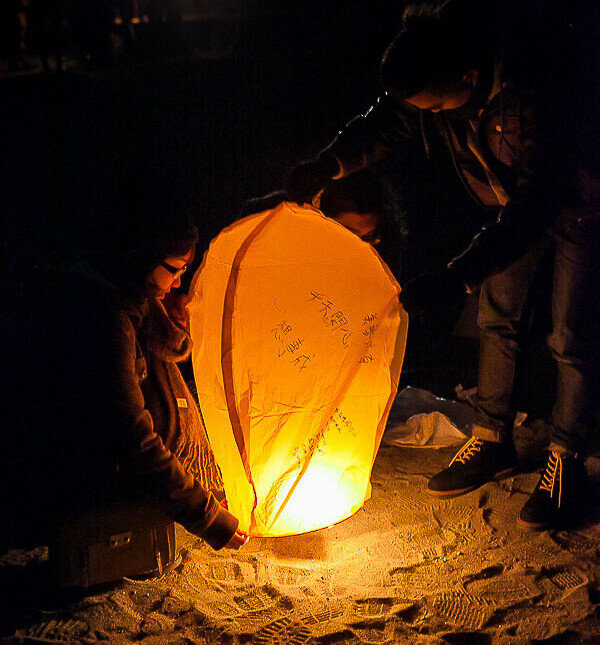 Some others seemed hopeful and thankful like wishing the lanterns would come back as new gifts or opportunities. 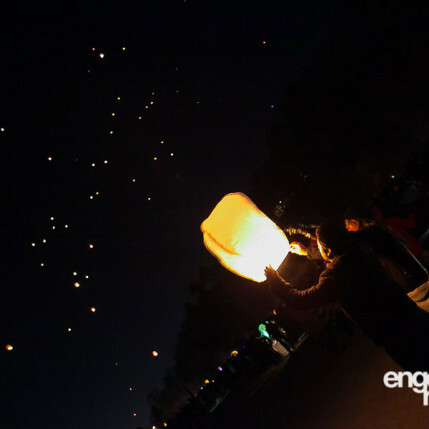 Nowadays, the mass release of the lanterns is a symbol of peace and good fortune. 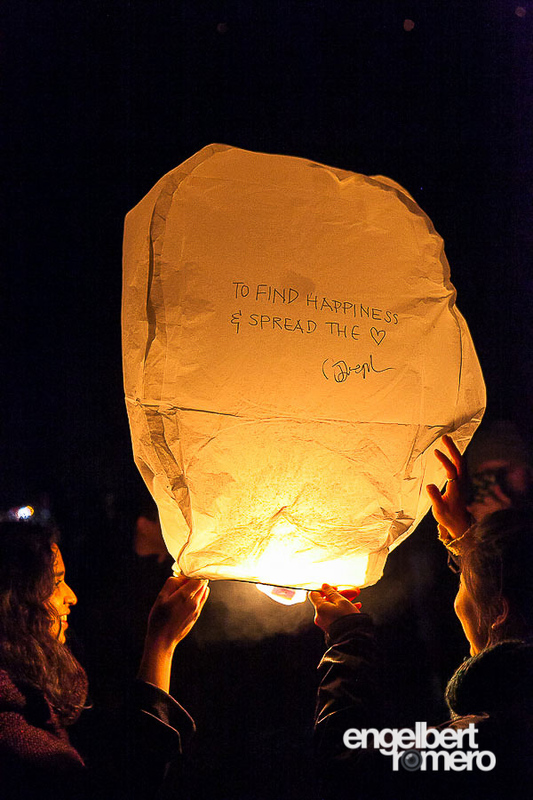 I, for one, felt very fortunate to be there, capturing that magic and being able to share it with all of you.